Have you ever gotten an idea of something you need in your wardrobe but can't find it anywhere? Well that happened to me a few weeks ago. I was on a serious hunt for a big, chunky cream cowl neck scarf that wouldn't cost a fortune. 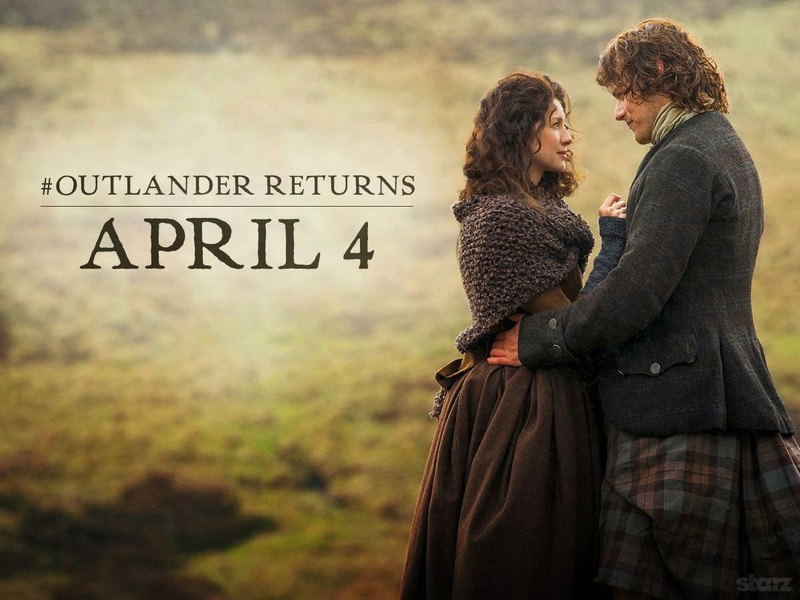 I wanted it to look like the one Claire wore on the show Outlander. So I decided I would buy the yarn and knit it myself. It only took a few days (bits of time throughout) and voila! I have a scarf! It's incredibly warm and chunky as ever. I'm not going to lie, I was rather surprised at how it turned out being my first knitting project. Oh, and I highly recommend you try this show out. It has a great story line and is almost as good as Game of Thrones! 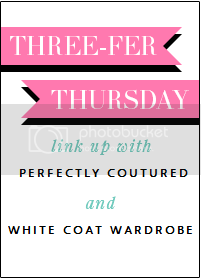 I'm linking up with Steph at White Coat Wardrobe today! Head over and check out the other lovely ladies! Holy crap - I can't believe you knitted that yourself - great job! Super cute outfit!! 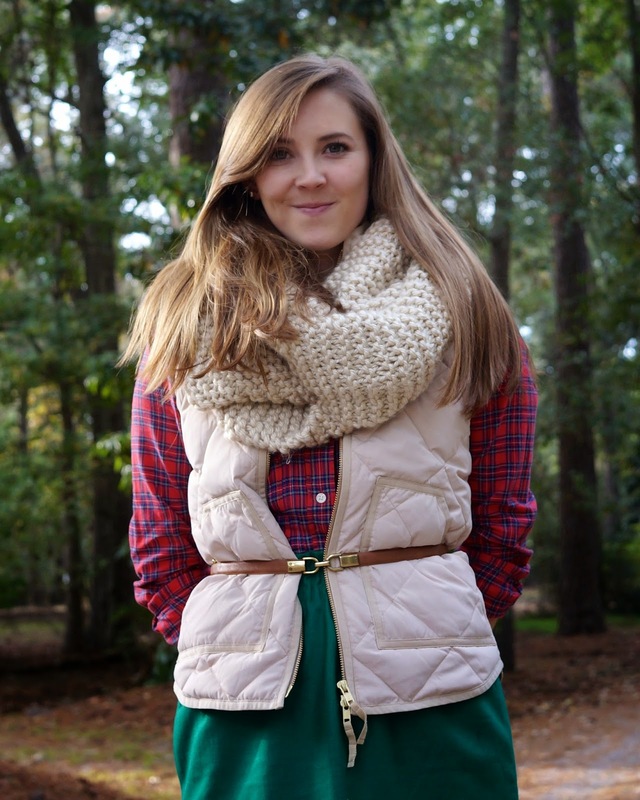 I love that you belted your vest - really great idea and makes it look even more dressed up!! i wish i had your knitting talent! that's awesome! and such a cute outfit! I love the layering you have here. Your knitted scarf is fabulous. My friend knitted one for me last year as I just don't have the patience! I love how you've added a belt over your puffer belt. You look great.